I’ve been a home brewer for many years and lover of beer for even longer. I spent my childhood in Peru and even though I now live in the USA, I return to Peru regularly for visits. 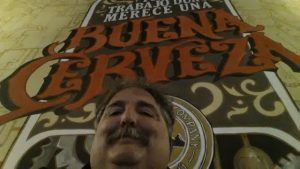 This blog is a continuation of an earlier blog, called simply “Juan’s Beer Blog”. That blog was a sort of catch-all place. 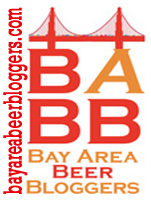 Over time, however, I started to feel that I wanted more focus to my beer blogging, and to treat it more seriously. That’s when I decided to create “Beer 511”. The old blog was was located at juanshomebrewery.blogspot.com. In early 2016 that URL was given over to housing only things related to my home brewing. Everything else was migrated to a new address and built into a now discontinued iteration of this blog, which is still viewable at beer511.blogspot.com. As for beer, we are fortunate in the USA in that we have what is by all accounts the most dynamic and exciting beer culture in the world today. It is thanks to the US’s home brewers and craft brewers that many almost-extinct beer styles have been kept alive, and the boundaries of others have been expanded in ways never before imagined. In this, I believe that those of us on the West Coast are particularly fortunate in the number, variety, and consistently high quality of the breweries that we have. Like the USA, Peru is undergoing a craft beer revolution which is not only reviving styles which the country once had and lost, but is pushing the envelope of what Peruvian’s traditionally have thought of as beer and is making innovative use of native ingredients.